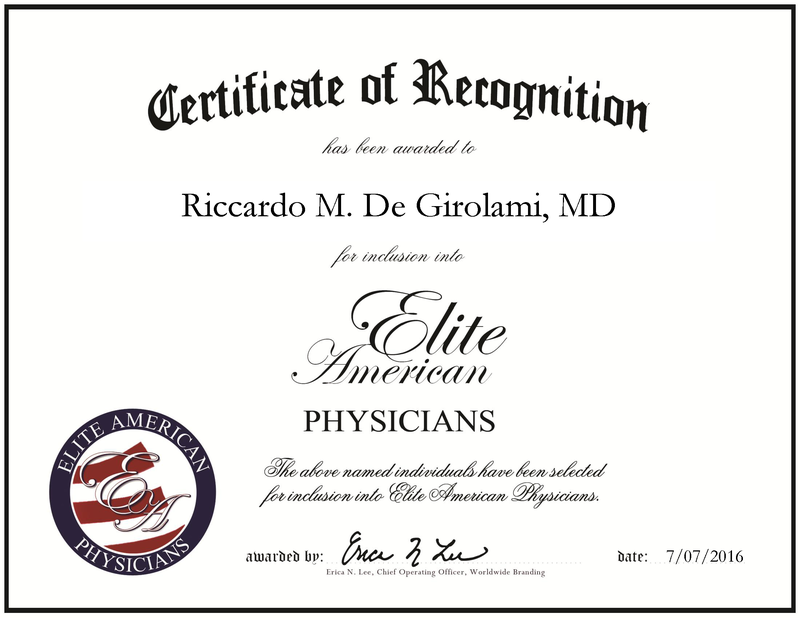 Inverness, FL, July 7, 2016, Riccardo M. De Girolami, MD, Physician at Inverness Medical Imaging, has been recognized by Elite American Physician, for dedication, achievement and leadership in radiology. Mr. Girolami expertly treats patients seeking radiology service and health care. 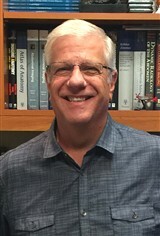 With nearly 40 years of practiced expertise, he is well-versed in the medical areas of internal medicine, cardiovascular computed tomography, international radiology and biology. By using the latest cutting-edge technology, Mr. Girolami ensures those he treats are in the best hands possible. In addition to helping patients, he also teaches others in his field, allowing the knowledge he has accumulated throughout the years to be shared and hopefully contribute to the health of others. After receiving an MD from the University of Miami’s School of Medicine, he completed an internship and residency for internal medicine at the Jewish Hospital of St. Louis and a radiology residency and fellowship at Jackson Memorial Hospital. In lieu of his commitment to top quality care, he maintains affiliation to the Citrus County Medical Society, the American Roentgen Ray Society, the International Society of Radiology and the American Academy of Radiologists. Mr. Girolami was inspired to enter the health profession due to the doctors in his own family. With supportive parents and his faith, he was able to build a successful career that has the added benefit of helping so many people. This entry was posted in Cardiology, Internal Medicine, Radiology and tagged biology, cardiovascular computed tomography, internal medicine, medicine, Radiology, roentgen, tomography. Bookmark the permalink.